Damp is a common problem is homes around the country but it can just as easily affect commercial properties, which could mean exposing staff, customers or tenants to the side effects of damp which range from unpleasant smells to black mould spores and ruined furniture and belongings. So, how do you know if your commercial property has a damp problem and if so, what can you do about it? There are a few types of damp, but three main ones are seen in homes and commercial properties around the UK are condensation, rising damp and penetrating damp. Of these, roughly 75% of all damp cases are caused by condensation, which might seem the most innocuous but can lead to serious damage and health problems. Condensation occurs when warm, moist air, created by the occupants and the situation, comes into contact with a cold surface, such as large glass windows and partly concealed wall surfaces, where air can’t circulate. First, the cold surfaces will mist over until eventually condensing and turning to water. If condensation is a regular problem, the damaging black spot mould fungus will grow, which will damage your decorations, furniture, but most importantly, the health of your staff and possibly your customers. Without a doubt, condensation is the most common type of damp in commercial property and homes throughout the UK, during the cold winter months. Rising damp usually occurs in older properties when parts of the DPC (damp proof course) breakdown or become bridged by higher external ground levels. However, it can occur in newer buildings if the cavity between the bricks was carelessly blocked with mortar during construction or if someone has increased the external ground level to above the damp proof course. 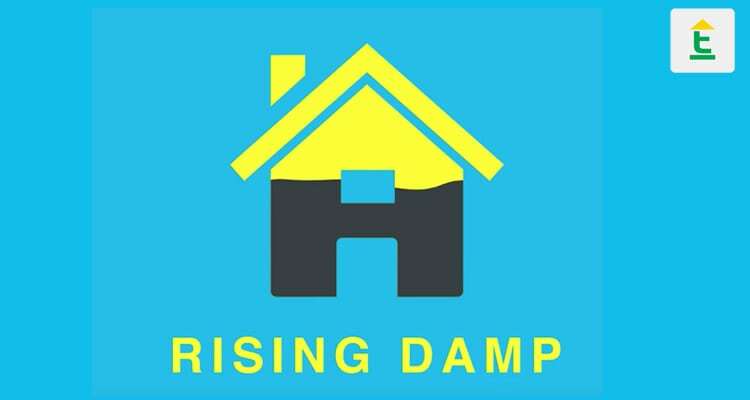 Rising damp is a process caused by moisture from the ground, rising up the bricks or masonry, by capillary action. Rising damp can rise to a maximum height of 1.5m so any damp above this height is from another source. Unfortunately, damp rising from the ground often carries with it hygroscopic salts. These deposit in the wall plaster and on days of high humidity, attract moisture from the atmosphere, so when repairing or replacing a damp proof course, it is important to also carry out anti-salt replastering. Like rising damp, lateral damp penetration comes from the ground, but this is where the comparison ends. Rising damp does exactly what it says, rises up the wall. Whereas penetrating damp, is moisture that is forced through the wall, under hydrostatic pressure. This is a much faster process and caused obvious, considerable internal damage and damp conditions. 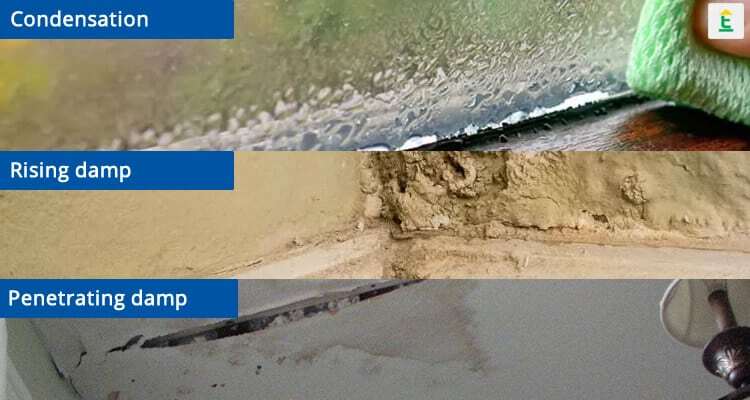 The treatment of lateral damp penetration is complex and usually involves structural waterproofing methods and specialist replastering by an expert damp proofing company. Even in the early stages, damp can cause problems for commercial properties. Initially, the companies first concerns will be for their staff, stock and processions. The first signs you may notice and a damp or musty smell when you first arrive or damp patches on walls or ceilings. These are not only unsightly for your clients or customers, it is also an unpleasant and unhealthy environment for your staff. 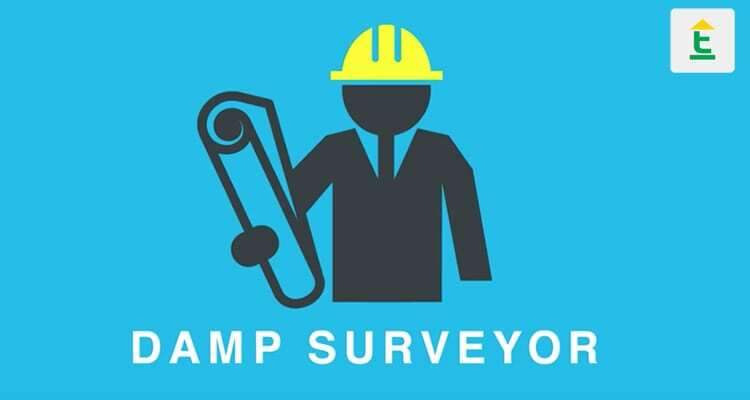 If you suspect your office, store, shop or restaurant has damp, the first thing you should do is to instruct a specialist, qualified damp surveyor to carry out a thorough survey, to find the cause and recommend the correct measures to eradicate it. Is the landlord responsible for Damp? Obviously, this will depend on the terms of the lease, but in most cases, damp caused by structural problems, including rising damp or lateral damp penetration, are the responsibility of the owner, the landlord. This will also include other items such as replacing defective rainwater goods, rendering or leaking roofs, which are the landlord’s responsibility to repair. Condensation can be a little less clear. There is a case that the landlord needs to ensure the property has good ventilation to reduce the chance that condensation can happen. But there’s also a case that if the tenant doesn’t take steps to reduce the risk of condensation, such as keeping the property warm and ventilated, then they may be held responsible. Dealing with damp is something that needs to be done urgently, regardless of whether it is a home or a commercial property. Associated issues such as wet rot or dry rot can be catastrophic to the structure of the property and even black mould can make the place unsuitable for work if left unchecked.